Passed on to greater adventures July 23, 2018 at 86 years old. She was preceded in death by her loving husband of 58 years, Harlan. Loving mother to Kevin (Chris), Lisa (Mike) Brain, Martin (Liz), Christine (Peter) Wolbersen and Jacqueline Drake. Proud grandmother to Dawn Drake, Paul (Christy) Drake, Adam Drake, Nick (Sonya) Brain, Andrea (Clarence) McCoy, Aaron (Nikki) Brain, Ashley (William) Reeves, Matthew Drake, Samantha Drake, Abigail Drake, David Drake, Ryan (Sarah) Wolbersen and Kelsey (Jack) Wolbersen. Great grandmother to Jerzie, Tristan, Hunter, Harlan, Ally, Heaven, Hope, Katara and Evelyn. Joan raised 5 wonderful children then went to work in sales for Gillette during a time when those types of jobs went to men or college graduates. She loved her job, her interactions with people and traveling. She retired after more than 25 years with Gillette. She was proud of her gardening and spent countless hours designing and nurturing her award winning yard. She received the “Yard of Distinction Award” on 10-06-09, for her tasteful selection and placement of plantings and her enhancement of the Wauwatosa community. Joan was very active at St. Margaret Mary as a member of the Christian Mothers. She helped to organize and run bake sales, rummage sales, fish fries and variety shows. She loved reading books, singing whenever the opportunity arose and dancing with her Harlan. 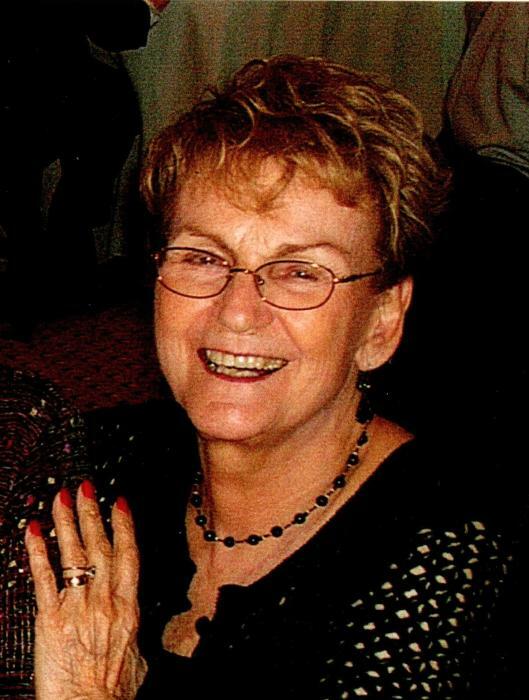 She enjoyed playing cards competitively with friends and card clubs as well. Joan loved adventure and travel. She enjoyed traveling with her sidekick, Joan Shinners, both with travel groups and their beloved Marquette Warriors/Golden Eagles. She was a season ticket holder and received the “Marquette Loyal Season Ticket Holder” award in 2008. Joan took great pride in her grandchildren and great grandchildren and loved to share in their special moments. She will be missed by all as she soars on to her next great adventure. Visitation will be held on Tuesday, July 31, 2018, at the funeral home from 5PM until 7PM when there will be a time of reflection. Additional visitation will take place on Wednesday, August 1 from 10:00 a.m. to 11:00 with a Mass of Christian Burial for Joan to follow at St. Margaret Mary Catholic Church (3930 N. 92nd St.) Burial at Wisconsin Memorial Park. In lieu of flowers memorials to Zilber Hospice would be appreciated. Special thanks to Zilber Hospice for their loving care for Joan and her family.